How to find the documents section and upload additional files. 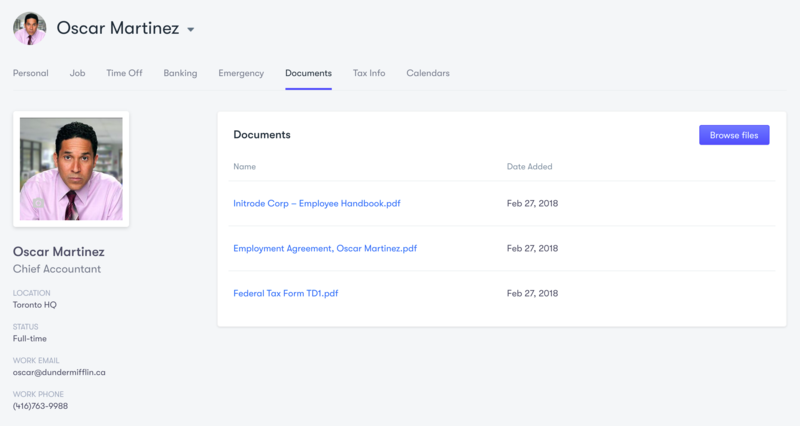 The Documents section of your profile is your centralized place to store things like your employment agreement, training certificates, tax forms, and other essential documents. Your platform admin may also upload more documents here. Navigate to your profile by clicking on My Info and choosing the Documents tab. Click on the Browse files button on the right-hand side to choose files from your computer that you would like to upload to Collage. Note: You are not able to delete any files from the Documents section. This action is reserved for your admin of the platform.